From the Captain Marvel movie comes Captain Marvel as a Marvel Select action figure! 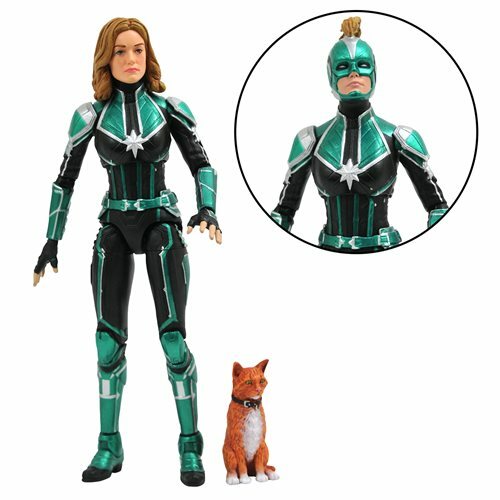 Captain Marvel is shown in her Starforce uniform! Measuring approximately 7-inches tall with approximately 16 points of articulation, this movie release features the likeness of actress Brie Larson. The Captain Marvel Movie Select Action Figure comes packaged in display-ready Select packaging, with side-panel artwork for shelf reference.